Laser Photo Facial Treatment is a short 30 minute session which will help obtain a noticeable smoothening and vibrancy to the facial skin, with minimum discomfort and stress. Using light to correct flaws on the face is one of the most brilliant advances of science, and we at PearlHealth chennai have absorbed the techniques to mainstream treatment in the most professional way possible. Laser Photo Facial uses concentrated light to penetrate the facial skin and constrict the blood vessels below the surface of the skin, lending a more youthful and tightly elastic skin, which in turn reduces the age of the face noticeably. This procedure also goes a long way in smoothing out wrinkles and helping scars and abrasions vanish. The process of Photofacial treatment can be for specific are application or for the treatment of the entire face itself at facial skin care clinic chennai. The flashes of the laser help generate a natural protein called collagen which fills in the wrinkles and helps bring back youthful vigor to the face. The technician will apply pre programmed intense pulses to the areas of the face. These pulses will go deep inside and will help generate the protein collagen, which in turn will reduce the wrinkles and spots, and do away with the large pores on the surface as well. The client is given a protective wear to shield the eyes from the procedure and all that needs to be done is relax while the highly trained technician uses state of the art Laser Photo facial Equipment to target the wrinkles, scars and unwanted acne at facial skin care clinic. 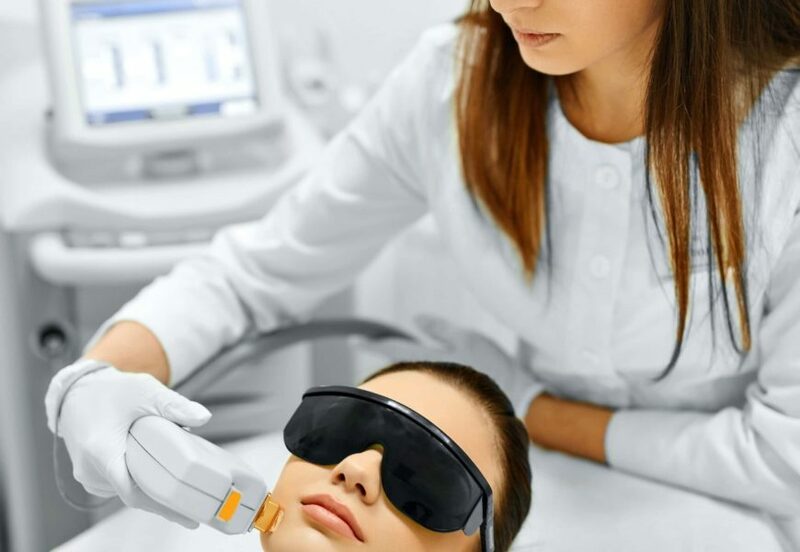 The palpable benefits of Laser Photo facial Treatment are that this procedure is totally non invasive and involves the technician directing light pulses to the targeted areas of the face. Depending upon the complexity of the targeted area the procedure can take anywhere from a few minutes to a few hours. The biggest benefit of the laser photo facial treatment is that, being non-invasive, it comes with very little discomfort and the client can be on his/her way within hours of the treatment.